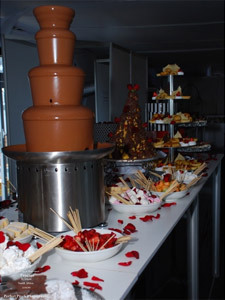 On the 4 th and 5 th of April 2009 the Wedding Expo at the Coca-Cola dome, Northgate took place, where there were over 300 of Gauteng's crème-de-la-crème bridal suppliers. 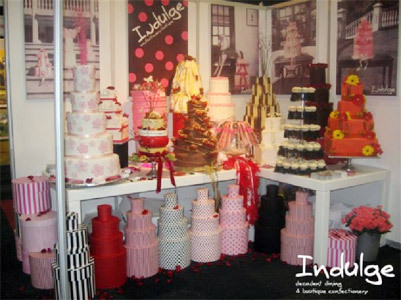 Indulge took part at the wedding expo, with their stand that blew the minds of the consumers and won Runner up to The Best Stand Award . 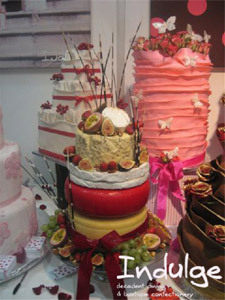 Their stand was full of exquisite cakes, from a 5 tier cake to a scrumptious layered cheese cake. 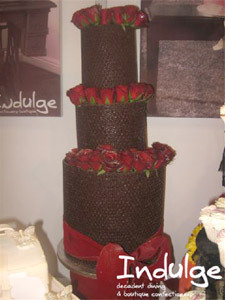 Indulge is "heaven" for many brides wanting a unique, hand-crafted creation made by their master confectioners. 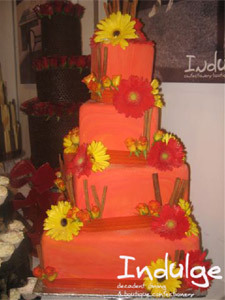 Look out for their stand at the next Wedding Expo on the 5 th and 6 th of September 2009 at the Coca-Cola dome, Northgate. 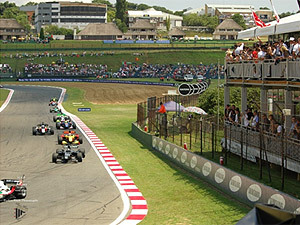 On the 21st and 22rd February 2009, the A1 Grand Prix, World Cup of Motorsport at the Kyalami Circuit in Gauteng, where 23 nations for the first time all competed on a level playing ground. 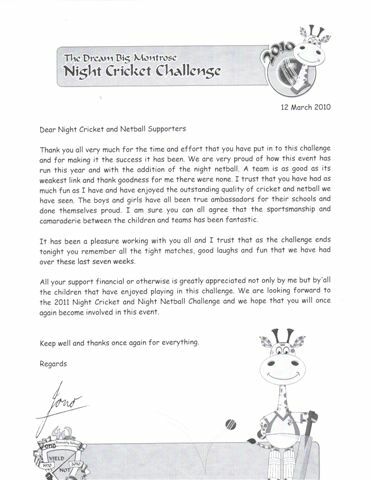 The A1 Grand Prix event was a fast, exciting, adrenaline filled weekend set in a glamorous and exclusive environment where Indulge was thrilled to be a part of. 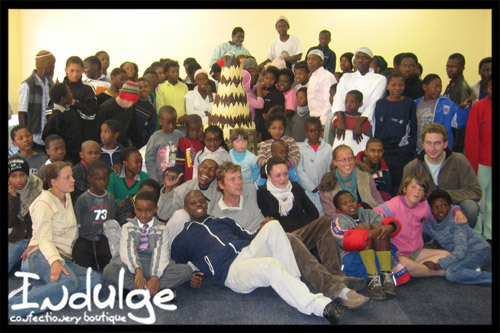 Indulge was approached to cater for the A1Grand Prix’s exclusive guests, with owner Donnae Edwards and her team. 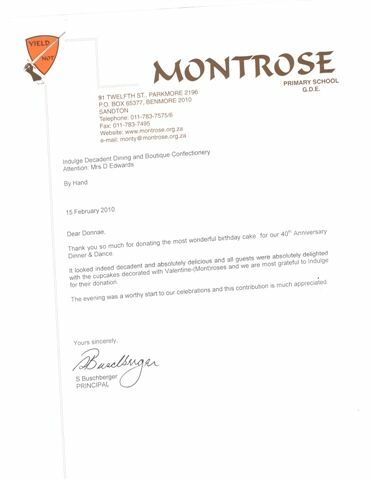 They worked under immense pressure preparing delicacies for over 6000 guests. 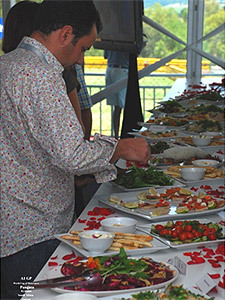 The Indulge team all pulled together and created mouth watering snacks from finger and fork food to a delectable high tea. 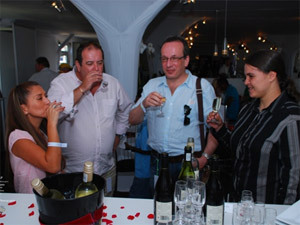 The A1 Grand Prix was a great learning curve for Indulge that turned out to be a great success all round. When feeling blue, try something new! 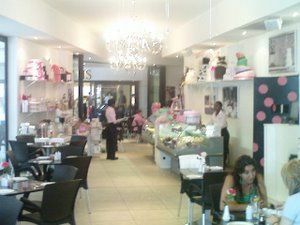 I had breakfast at this new place you must try. It’s called “Indulge” and they don’t call it that for nothing. 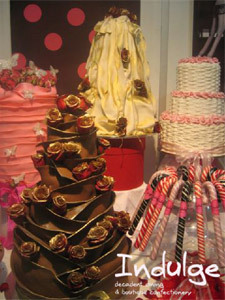 You might think you’re walking into a world of Hansel and Gretchen, as you see cake after cake accompanying your ever step. The gingerbread men stacked up in glass jars are looking happy to see you. 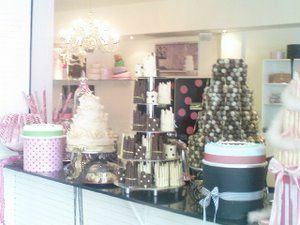 This is a restaurant with a complete pastry making factory right behind it. And you can see it all, in the back of the store. Wonderful to see how it’s all made; and that by cooks and pastry chefs dressed in designer pink uniforms, bandana’s in their hair. 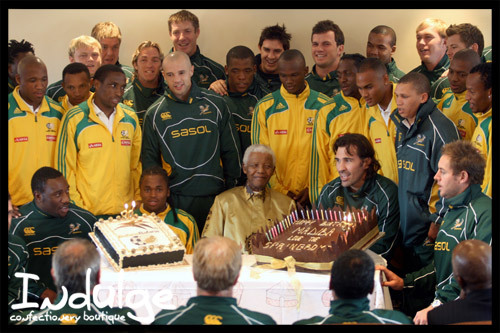 They even made Madiba’s 90th birthday cake, presented by the Spingbok team! As I mentioned, I had come for breakfast, and you better come hungry! Now my host never allowed me to see the menu as he decided what to order. The most delicious French-toast ever. And I make a mean French toast with cinnamon, but this was much better. Fluffy warm and soooo fresh and light. Rolls of bacon on the side and some fresh cut banana made it a mouth-watering dish. The service is with a great smile; the owner who does not look at all like a chef, Donnae Edwards, makes this all complete. 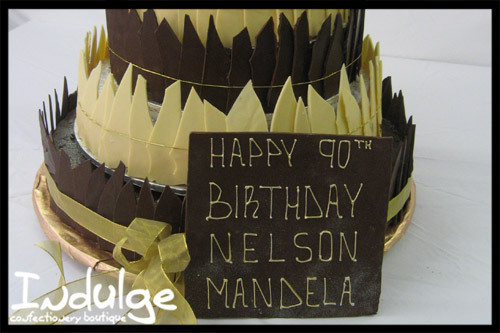 Take a good look at the website as it only shows the cake making business, but it will give you a taste of what is to come, when entering Indulge. To read this article online at newstoday click here! 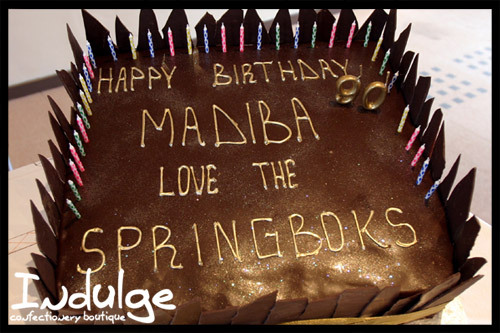 The Springboks commissioned Indulge to make a cake for them to hand over to Nelson Mandela (Madiba) to celebrate his 90th birthday. 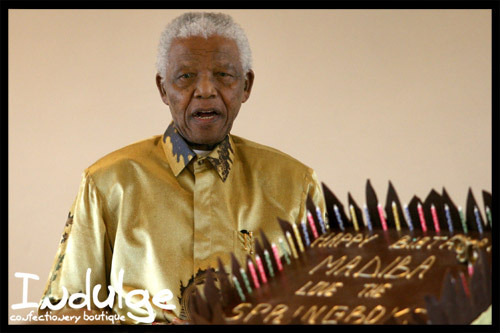 Below is some photographs from the conference with the cake hand over as well as a video of the news report from SABC.